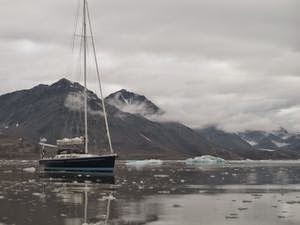 Last week the Beluga 46 returned from her trip to Spitsbergen. The outward voyage was non-stop in eleven days and the return voyage was along the Norwegian coast. From Tromsø (Norway) to Den Helder (the Netherlands) the crew had to sail more as 1000 miles upwind. 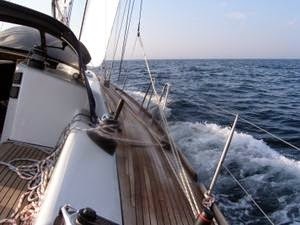 Different wind speeds and angles asked all the possibilities, like the waterballast and the oversized sailplan, of the yacht. Crew and yacht are safe home in the Netherlands and had a comfortable and spectaculair sailing trip.